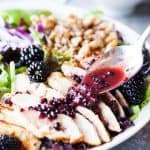 This blackberry chicken salad is full of fresh and juicy blackberries and drizzled over with a blackberry balsamic vinegar dressing. This salad is a textural delight! Walnuts add crunch, avocado adds creaminess, and red onions add a little kick. 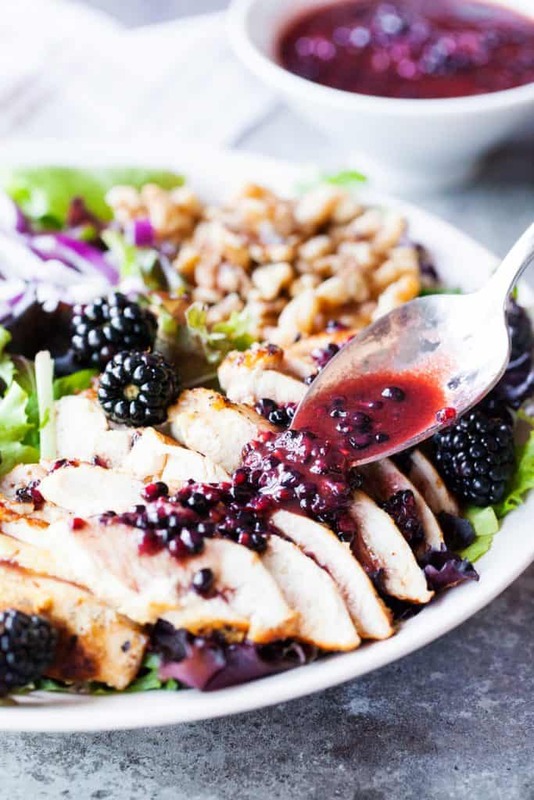 Blackberries are in full bloom this summer, so naturally, you HAVE to add them to your summer salads. The sweet dressing over savory and succulent chicken strips will keep your eaters coming back for seconds! I like to make extra for lunches throughout the week. Saute the chicken in a cast iron skillet over medium-high heat until fully cooked through. Tent with foil and let rest while preparing the rest of the salad. Add the spring mix lettuce to a large bowl. 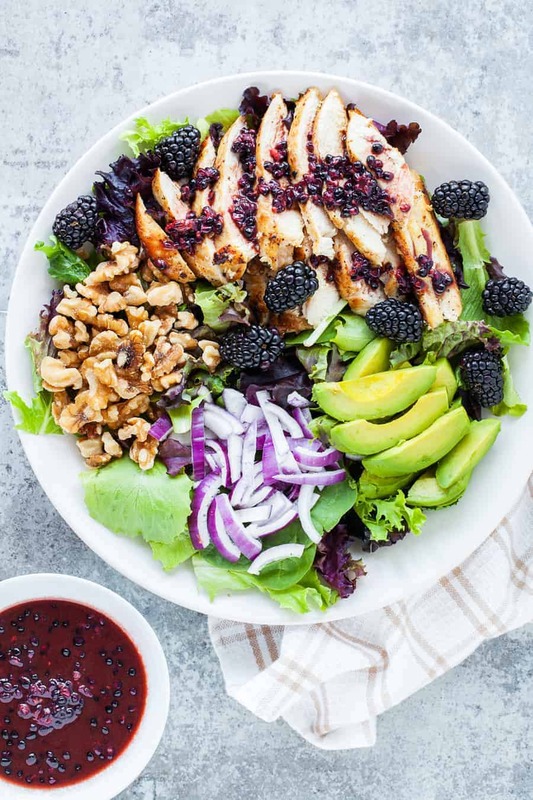 Arrange the blackberries, avocado, red onion, and walnuts on top of the bed of lettuce. Set aside. In a medium bowl, combine the dressing ingredients except for the salt and pepper. Use a fork to mash the blackberries to release the juices. Whisk to combine. Season with salt and pepper to taste. Slice the cooked chicken and set over the salad. Drizzle with dressing. Serve immediately. 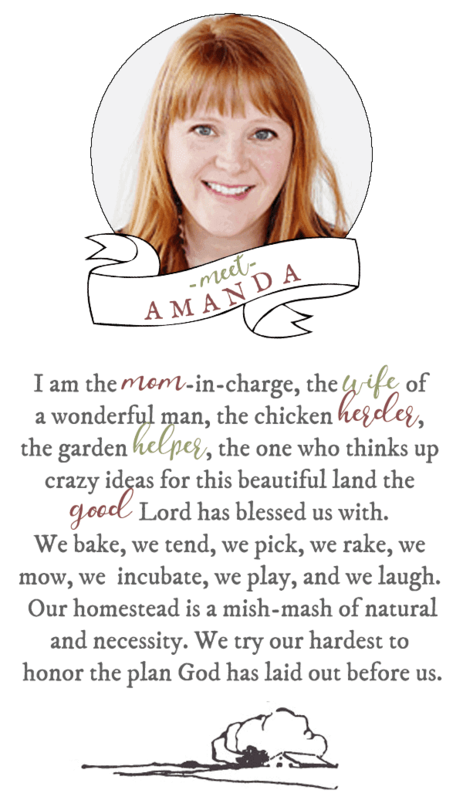 Adapted from Closet Cooking. Photography by The PKP Way. 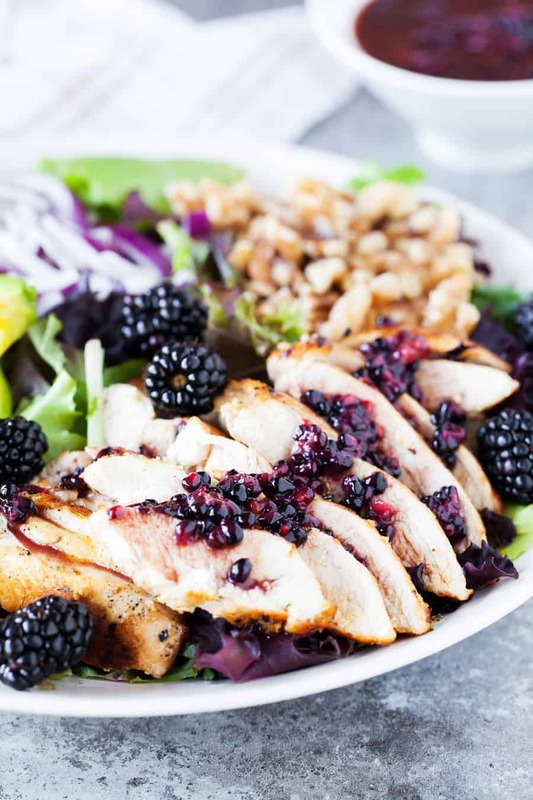 I should have said, the Blackberry Chicken Salad looks and sounds amazing. will try is very soon.